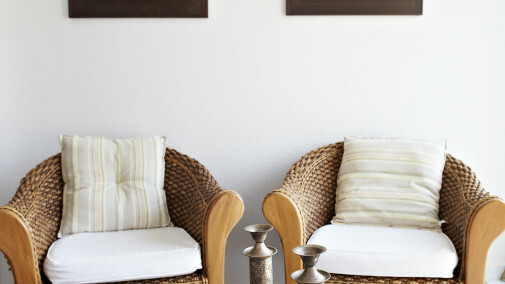 Akinon Resort features modern and stylish accommodation alternatives suited for any occasion. 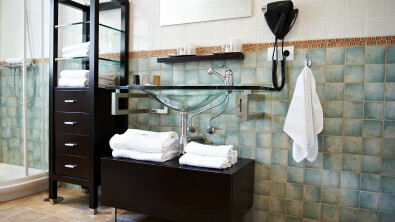 All our 40 rooms, whether in a duo, trio or quad apartment have an ensuite bathroom and is equipped with a door lock that only you have access to. 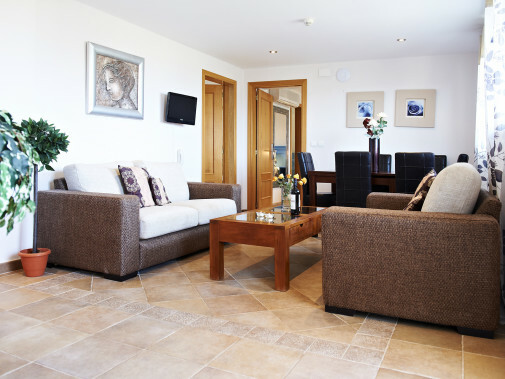 We offer three standards within each type of accommodation: Standard, Premium & Premium Plus. 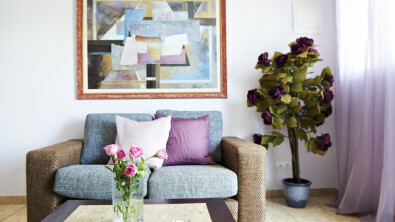 The difference between the standards is the apartment’s location, view, amenities and price. 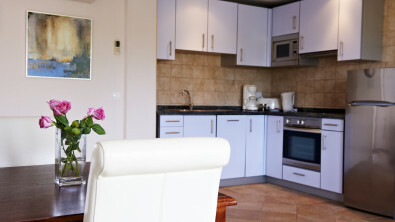 Akinon Resort has a total of 17 beautiful and spacious studio apartments. 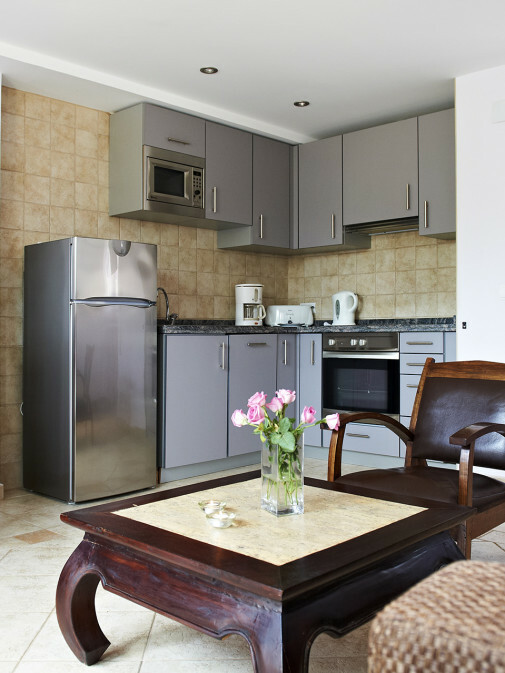 The studio apartment is spacious with an open floor plan, perfectly suited for couples, friends or if you are traveling alone. 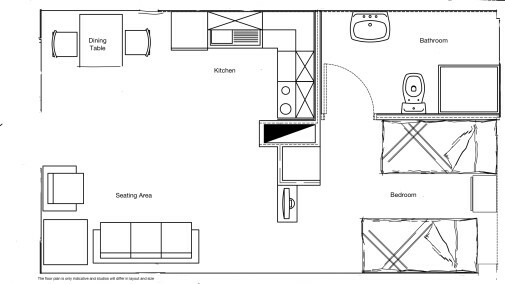 The apartment features a kitchen, dining table as well as a seating area. It has modern and stylish decor with a large double bed (or two twin beds), foreign TV channels and free high-speed wireless Internet. All have access to large common terraces and some have their own. 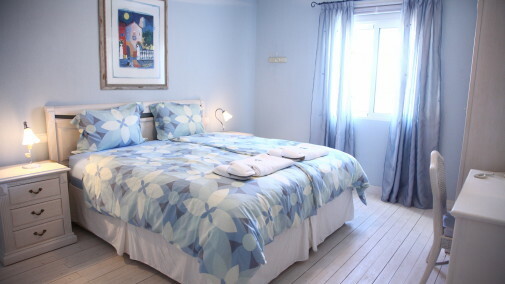 Akinon Resort has a total of five beautiful and spacious two-bedroom apartments. 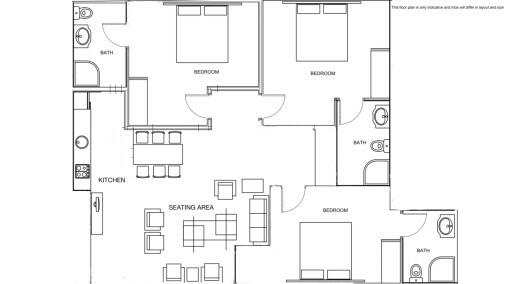 The two-bedroom apartment is spacious and is perfectly suited for couples, friends or families. 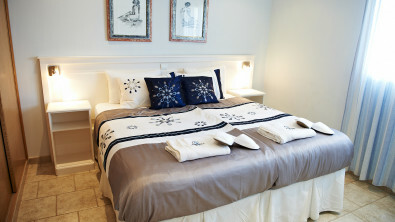 The apartments have two separate ensuite bedrooms with double beds (or twin beds), where each bedroom has a separate lock. It also features a kitchen, dining table as well as a seating area. 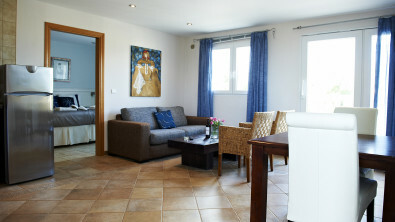 It has modern and stylish decor with foreign TV channels and free high-speed wireless Internet. All have access to large common terraces and some have their own. 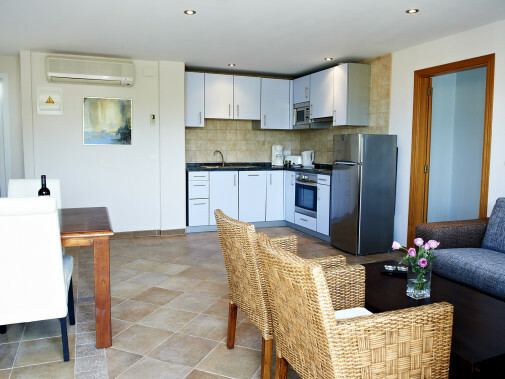 Akinon Resort has a total of two beautiful and spacious three-bedroom apartments. 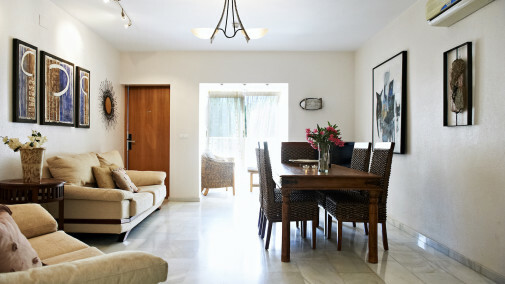 The three-bedroom apartment is spacious and is perfectly suited for couples, friends or families. 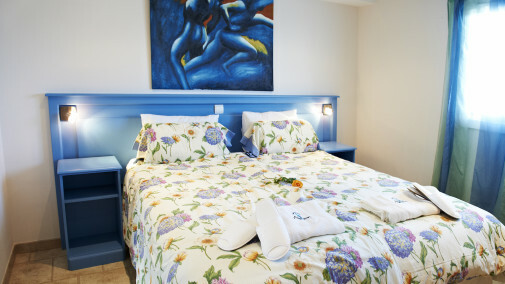 The apartment has three separate ensuite bedrooms with double beds (or twin beds), where each bedroom has a separate lock. 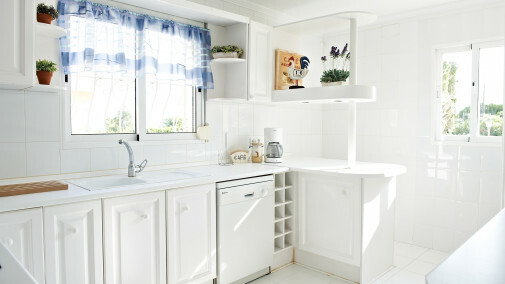 It also features a kitchen, dining table as well as a seating area. 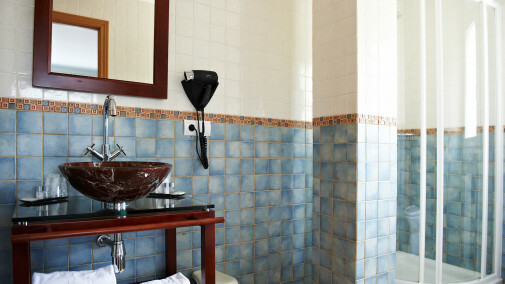 It has modern and stylish decor with foreign TV channels and free high-speed wireless Internet. The Premium + also has its own terrace while the Standard one has a common terrace. 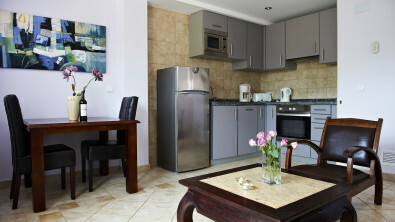 Akinon Resort has a beautiful and spacious four-bedroom apartment. 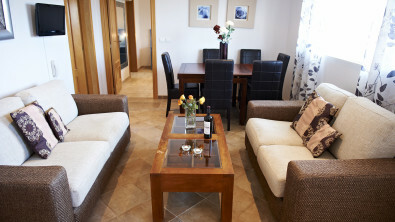 The apartment is spacious and is perfectly suited for couples, friends or families. 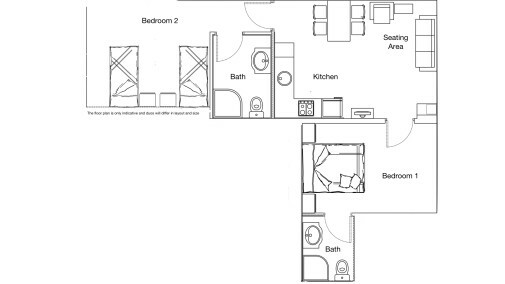 It has four separate ensuite bedrooms with double beds, where each bedroom has a separate lock. 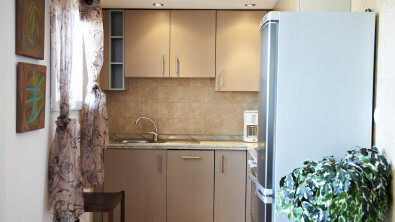 The apartment also features a kitchen, dining table as well as a seating area. 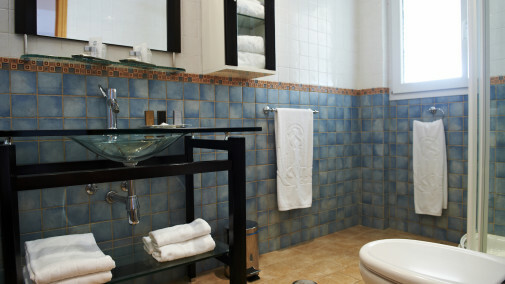 It has modern and stylish decor with a foreign TV channels and free high-speed wireless Internet. Outside it has a common terrace.